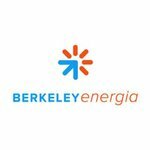 Berkeley Energia Limited (BKY AIM/ASX) is a high impact, clean energy company focused on bringing its wholly owned Salamanca project into production. This world class uranium project is being developed in an historic mining area about three hours west of Madrid, Spain. Following recent ministerial approval, the Company has now received all the European Union and National level approvals required for the initial development. As progress on its Salamanca uranium mine hums along, Berkeley Energia (ASX|LSE:BKY) has been busy getting its other affairs in pristine order.